A call has come from Australian unionists to support Dave Kerin, who’s facing prison for refusing to “rat” on fellow union solidarity campaigners. Dave is the co-ordinator of Union Solidarity, a network set up to organise solidarity for workers and unionists targeted by the Howard government's "Work Choices" legislation. 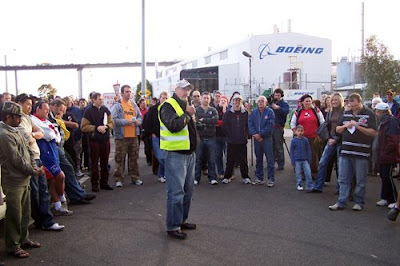 In the wake of the recent successful strike action by Boeing workers at Port Melbourne, in which Union Solidarity played an important role, the Australian Workplace Ombudsman has come after Dave Kerin and Union Solidarity. The ombudsman is demanding all documents relating to Union Solidarity's support for the striking Boeing workers be handed over. Dave is refusing to do so. For breaking the law he could go to jail for 6 months. 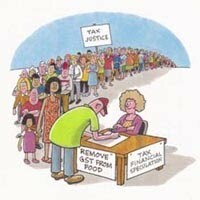 These laws are unjust, they're designed to crush workers’ right to organise collectively and give practical solidarity. We must support Dave and his fellow Union Solidarity campaigners. 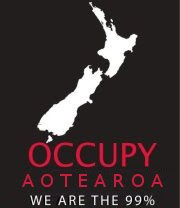 Please spread word of this injustice through union and activist networks in NZ. Union Solidarity Coordinator Dave Kerin is now facing up to six months jail for supporting striking workers at Boeing, in Melbourne. The dispute recently ended in a victory for the workers. Despite this, the Australian Workplace Ombudsman has issued Dave Kerin with a ‘Notice to produce documents’ in relation to the strike. Dave is being asked to supply a government agency with all information and documents concerning Union Solidarity, the Australian Manufacturing Workers Union and rank-and-file members by May 8. Basically Dave Kerin is being asked to “rat”. He won't. Why is the Workplace Ombudsman pursuing Kerin after the dispute has been settled and Boeing itself has no interest in pursuing him? It is difficult to avoid the conclusion that the Ombudsman wants to break Union Solidarity, which played an important role in the struggle against the Howard government’s hated Work Choices legislation. Union Solidarity has said that it will not comply with the laws and those government agencies whose sole purpose is to prevent workers having the ability to organise to defend their interests. In the last election the Australian people voted overwhelming to get rid of anti-union laws – Union Solidarity operates within the spirit of that sentiment. 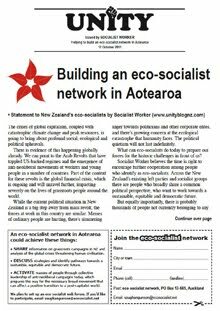 The Socialist Alliance fully supports Dave Kerin in his stand and is asking workers and unionists to indicate their public support for Dave Kerin and Union Solidarity. - from “Notice to produce documents” received by Dave Kerin.